Speaking to Radio Sputnik on Sunday, independent journalist and peace activist Vanessa Beeley suggested that common sense seems to dictate that radical Islamist terror groups including ISIL are ultimately the product of Western intelligence agencies looking for “proxy armies” to be used to achieve the West’s foreign policy goals. She also attributed ISIL’s success in part to the use of Saudi Arabia and its Wahhabist ideology, which she recalled has been used by Western countries for many decades to “achieve various strategic objectives and aims” throughout the Middle East. 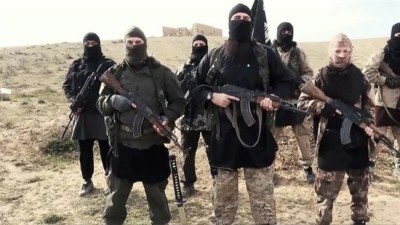 More broadly, and controversially, Beeley suggested that Jihadist groups, including ISIL, are in fact “a form of proxy army, readily and easily…maneuvered and manipulated, or propagandized into existence, pretty much anywhere” to serve Western countries interventionist and imperialist foreign policy goals. The journalist noted that a multifaceted effort by intelligence agencies, think tanks, shady ‘marketing’ agencies, Muslim organizations, and even academia has established a powerful propaganda industry, encouraging, enticing, forcing people to join radical groups and to travel to the Middle East to fight against secular governments, as in Syria. Beeley also pointed to the openly available evidence of Western intelligence agencies’ direct involvement in providing finances, logistical support and training to Jihadists, recalling the collapse of numerous trials against UK-based extremists following revelations that British intelligence had actually assisted them in their efforts against the Syrian government. Suggesting that the US might not actually be trying to completely destroy ISIL, the journalist pointed out that “we had a case in the couple of days where US satellites picked up a few Russian planes in Syria. But how come these same satellites didn’t pick up on hundreds of ISIS trucks driving to Mosul or Palmyra?” Beeley also pointed to reports “by both Iraqi and Iranian officials of the so-called mistaken arms drops to ISIL operatives in Syria,” suggesting that they may not been accidental after all. According to a recent US intelligence report cited by The New York Times, an estimated 30,000 ISIL recruits have crossed the Syrian and Iraqi borders to join the terror group over the past several years, with this year’s rates doubling those of last year. At least 4,500 of the fighters are believed to have traveled to the Middle East from Western countries. At least 250 American citizens have joined the terror group over the past two years, 150 of them over the last year. The NYT noted that despite coalition airstrikes, ISIL has been highly successful in replenishing its ranks, drawing about 1,000 new fighters a month and, in many areas, continuing to expand the territories under its control.